What about tramadol and codeine with or without and NSAID ? I was asked if Tramadol and codeine pose the same problems as other strong pain medications (opioids). Tramadol was originally thought to be a drug of minimal abuse but it turns out that it is commonly abused by narcotic addicts, chronic pain patients, and health professionals. The American Association of Poison Control Centers reported a total of 13,067 tramadol related events in 2012 and 9 associated deaths. The Drug Abuse Warning Network estimated that 16,251 emergency department visits were related to the nonmedical use of tramadol in 2010, which rose in 2011 to an estimated 20,000 visits. With this experience, the FDA has reclassified Tramadol so that beginning mid-August 2014, the rules of prescribing tramadol are stricter. 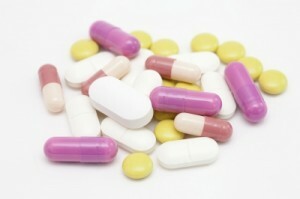 Codeine is typically weaker than most other drugs in its class (opioids). Codeine-containing cough syrup is a drug frequently abused by adolescents. Its sale is now closely monitored. Codeine is converted to morphine in your body. The amount of morphine produced and the potential for life-threatening side effects are determined by two factors: 1. The genetic make-up of the individual (which determines if the codeine will be converted to morphine minimally or maximally), and 2. The use of another drug. Typically, the drugs that can interact with codeine are antidepressants (such as bupropion, fluoxetine or paroxetine), a depressant (such as alcohol, a benzodiazepine (such as diazepam or lorazepam), or another opioid (such as oxycodone or hydrocodone). The vast majority of patients who had an accidental death rather than obvious suicide were taking one or more of these drugs; therefore patients prescribed any opioid should be warned about the dangers of drug interactions.